Communication lies at the heart of all learning, the traditional arguments for and against technology enhanced learning and whether or not technology can improve education, become more complex when applied to learners with autism and complex communication needs (CCN). Much has been written about the potential of mobile technologies in supporting young people on the Autistic Spectrum. This potential can most readily be seen in the area of communication and specifically Augmentative & Alternative Communication (AAC). 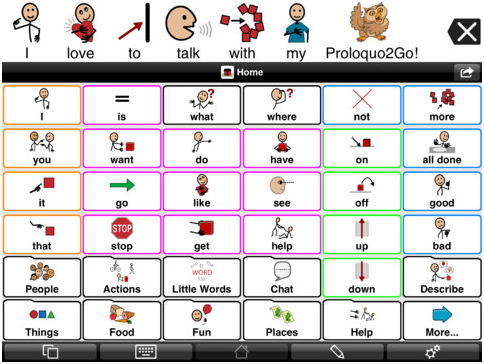 Mobile devices along with applications such as Proloquo2go by AssistiveWare, My First AAC by Injini and Alexicom AAC has brought AAC into the mainstream, opening up a world of opportunity for those where expressive communication was limited. The tremendous potential of mobile technologies for individuals with complex communication needs has not yet been fully realised; rather, these technologies are currently implemented primarily as limited speech prostheses in a restricted range of activities. Too often, AAC applications are used as basic request and choice tools. We need to widen the scope of where and how we use these devices, not just for use within the classroom and therapeutic domain. The key is practice, practice, practice. In order for young children to be successful in the use of tablets as communication aids, we as ‘Communication partners’ also need to speak the language of AAC. Similar to learning a new language, we need to model and practice using the device alongside novice learners. Modelling and continual practice needs to happen both at home and school in order for successful outcomes. When first using the iPad as a communication device at our school, we soon noticed the potential it could bring to our pupils with expressive language difficulties. At a basic level, we could quickly find out basic wants and requests, using the device in a similar way to Picture Exchange Communication (PECS). Many of the children were already competent with PECS so effectively we were not making further progress. We needed to move on from labelling and basic requesting. We made similar mistakes as many back in 2011; we focussed too much on the learning of topic words used within lessons to the detriment of social language and the teaching of core words. While the English language has at least 250,000 words, about 200 words account for 80% of everyday language, teaching the children these core words on their devices, opened up new lines of communicative opportunities that previously would have seemed impossible. It is important to remember when thinking of using an AAC app, that use of the app alone is not sufficient enough to lead to improved communication outcomes. 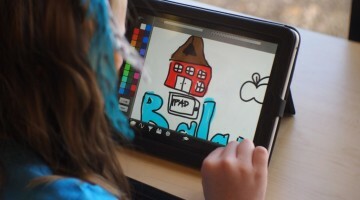 A supportive environment that compliments the app is vital; the symbol system that a particular app uses should be incorporated into the wider environment that the child will come into contact with. This enables AAC users to generalise symbol/word recognition outside of device use, a common difficulty for children with autism. Collaboration with parents is also important ensuring a consistent approach to core word modelling outside of school. 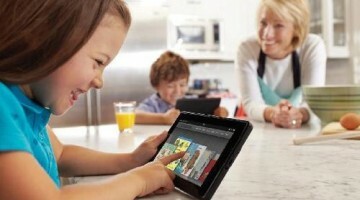 Many parents are reluctant to use devices as potential communication aids for their children in the hope that language may naturally develop down the line. A common concern is that the child may become over reliant on the device to communicate, yet studies show that the use of AAC, both hi-tech and lo-tech (communication boards) can kick start speech. For those who may never speak due to language production difficulties, the AAC device can become their voice. The use of synthesised rather than digitised speech has come a long way over the last few years allowing AAC apps to be more natural sounding and personal to the particular child. 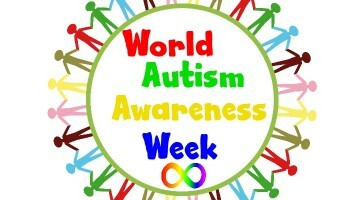 Many children with autism use associative rather than linear thinking, strong visual processing skills allows the child to associate symbols with words allowing them to make sense of the world around them, develop language competence and enable access to areas of the curriculum that they previously couldn’t. If you have a minimally or non-verbal child in your classroom, AAC applications could have the potential to do this. Development of language competence for AAC users will not happen overnight, AAC learning takes time for both the child and their communication partner. Be patient and you will see the benefits in time.